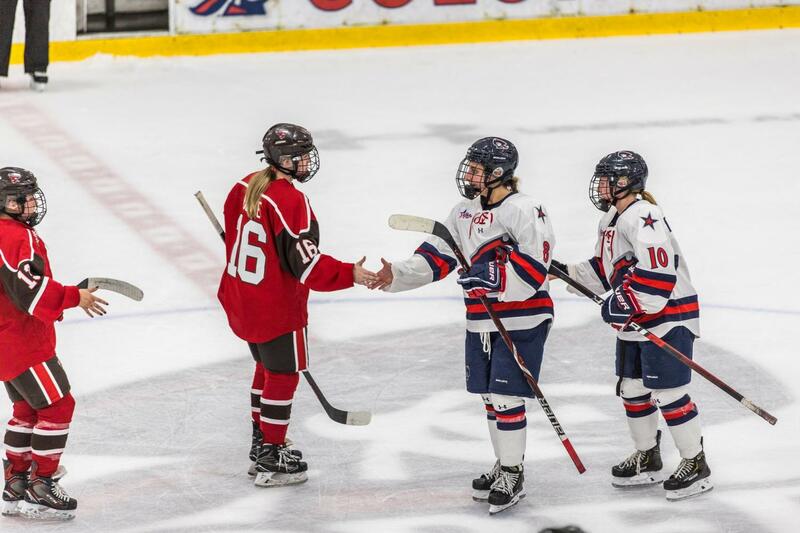 PITTSBURGH — This upcoming week, Robert Morris University women’s hockey will once again give back to the community. The team has partnered up with Never Give Up Radio (NGU) and the Goalie Guild to try and raise awareness for mental health issues. Their goal, aside from raising awareness, is to collect $5,000 which they plan on donating to three different mental health awareness programs; The Lift the Mask initiative, Anxiety and Depression Association of America and Athletes Against Anxiety and Depression. Mental health is a psychological disease that is common in many athletes, especially those who have dealt with head injuries, but it often goes unnoticed. Many NHL players have suffered from this including Paul Ranger, who retired early due to the disease. 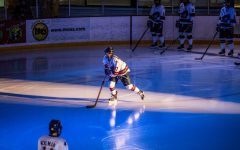 “I think that mental health is something that affects almost everybody so it’s definitely special that we can do something like this,” stated alternate captain for RMU, Jaycee Gebhard. “I think often times it’s something that might not be acknowledged as much as a physical injury. The situation here is that it’s there, but sometimes you can’t see it. Removing the stigma of it becomes a huge factor,” head coach Paul Colontino added. The entire event will start at 7:00 p.m. Thursday night at Yorktown Hall where NGU will give a special panel discussion. This event will have guest speakers who have dealt with mental health issues before such as Justin Goldman – the founder of the Lift the Mash initiative and Tyler Kennedy – a former NHL player and Stanley Cup Champion with the Pittsburgh Penguins in 2009. There are also special guests that haven’t been announced that will be at the event. All of the guests are committed to sharing their own stories about mental health while at the same time, showing their love for the game of hockey. 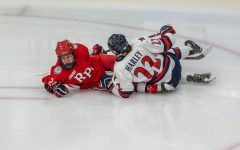 Friday night, the festivities will continue at 7:05 p.m., as RIT comes to town to face off with the Colonials at the RMU Island Sports Complex followed by a skate with the Colonials. The final event will be the second game of the series against RIT at 3:05 p.m. on Saturday. The Colonials will be wearing their all-red jerseys with special stigma patches and both games will allow you to donate and do whatever you can to help this cause. “It’s definitely special. 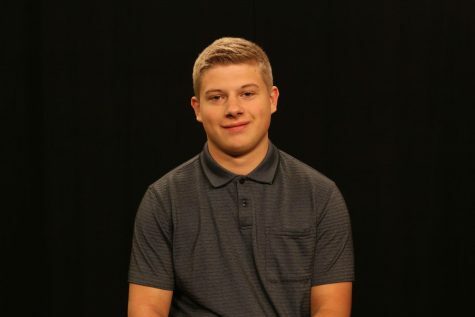 Part of being a hockey player is being a role model for the other people in the community so being able to do this and the teddy bear toss for the autism society is humbling for us, knowing that we can do more than just play hockey and that it is more than just a game,” Gebhard noted. 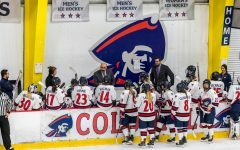 “The way our team gathers around and are very proactive and being able to jump in with two feet, for me being a part of that seeing how active our players are in terms of just getting on board with the community, I’m just proud to be apart of it,” Colontino added. You can help all those involved with the cause as well as all of those who have suffered from mental health awareness by coming to the events and donating with the link below.